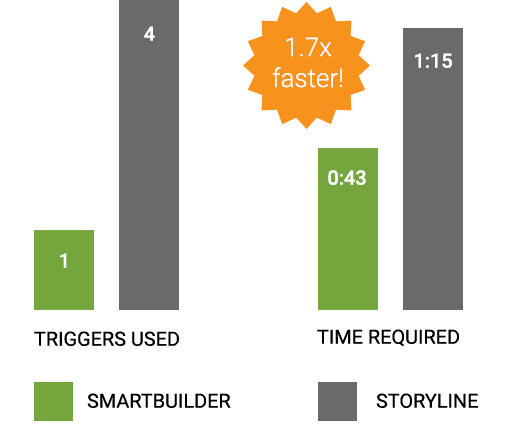 We built three typical interactions in SmartBuilder and Storyline, then evaluated how long each took. 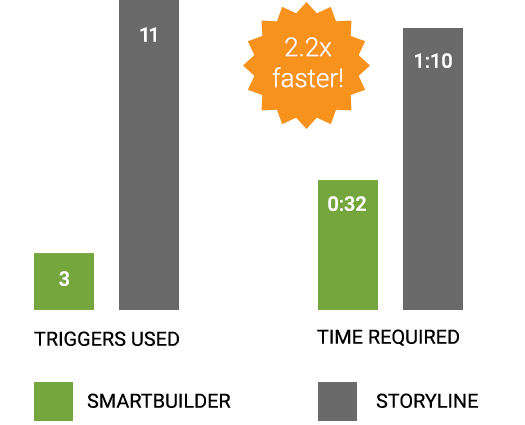 SmartBuilder was faster than Storyline, and we found similar results with other traditional authoring tools. Check it out for yourself.